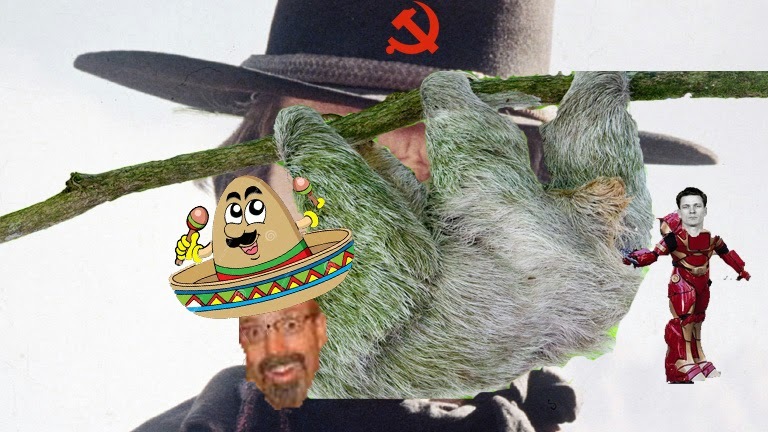 My face on a sloth in front of a Soviet cowboy. The 10-year-old created the above portrait of his father. Works for me, although I rarely wear sombreros. Keep up the good work, dad.